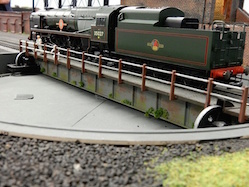 Originally conceived to exhibit any number of different locomotives from any period in history. 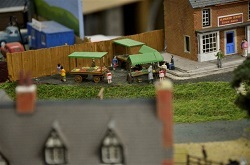 So therefore the layout is not based in any one time period and in fact has scenic features from many. 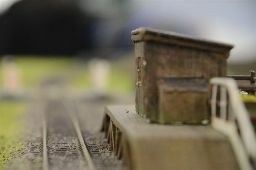 You could see locomotives from the 'Big Four' era right through to the recently introduced Class 70 diesels. 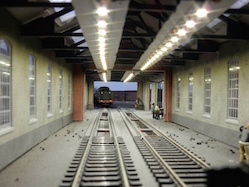 Whilst the layout is built with non-prototypical running in mind it will, we are sure, be a good view for children of all ages. 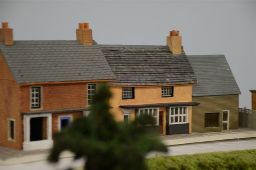 Older End MPD satisfies the need of many of the 16.5 section's members who wish a way of exhibiting their many locomotives without the need for copious amounts of rolling stock, whilst at the same time giving an almost endless variety of movements. 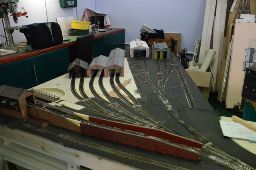 This layout was planned and is built as the smaller add on to the replacement for the fire damaged Denton Ebsworthy. 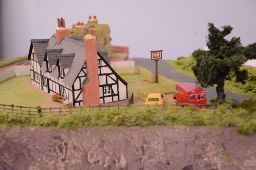 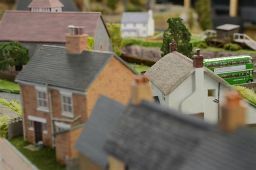 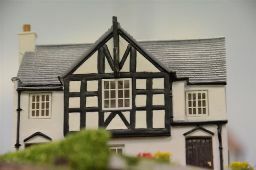 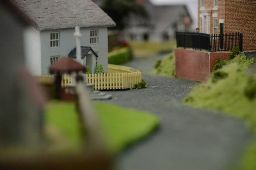 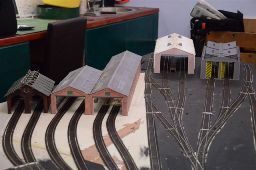 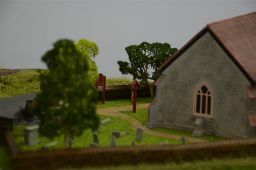 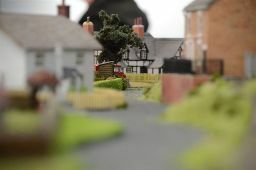 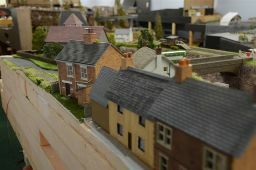 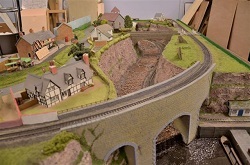 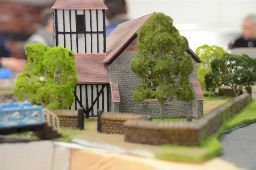 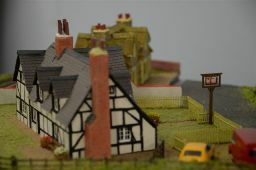 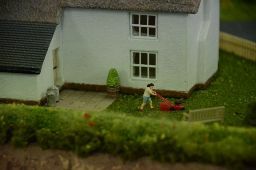 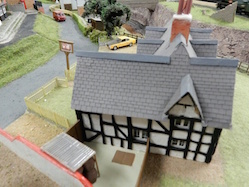 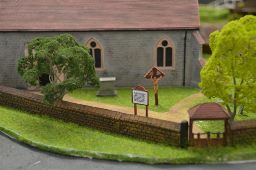 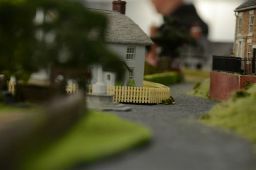 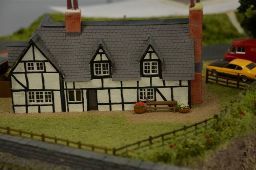 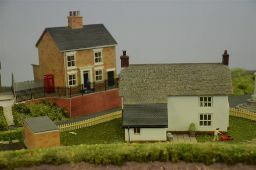 The layout can be both exhibited with this larger layout - now to be named 'Ebsworth for Reynoldston' - when completed, or on it's own. 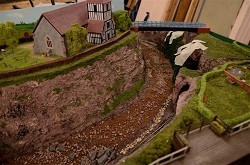 When run as an add on then the locomotives will enter and leave the layout by way of a modified Hornby Grand Suspension Bridge section and into a tunnel within the other layout. 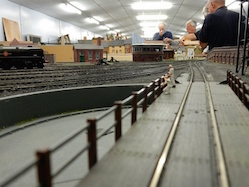 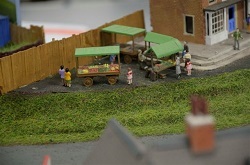 The layout will be available for exhibitions from May 2016 and can be exhibited in either 1 or 2 day shows.